Model T Ford Forum: Just curious....about the MTFCA Encyclopedia..
Just curious....about the MTFCA Encyclopedia..
Model T Ford Forum: Forum 2018: Just curious....about the MTFCA Encyclopedia.. I own a 24 Roadster P/U.. so I was just looking (since everyone is talking about the encyclopedia) I see each year talk abut the Runabout....Where are the Roadsters???? Just asking...some times I hate my ignorance. Thanks in advance for teaching me. I think the term roadster became standard around 1924. On the other hand I seen references to taming a runabout and converting it to a roadster pickup when replacing the turtle deck with a pickup box. Runabouts and Roadsters are two names for the same thing. Not really Mike. It has to do with terminology Henry Ford used and/or his direction to his marketing department. I�m more in agreement with Mark. Terminology in advertising changed sometime around the short/tall radiator changes. 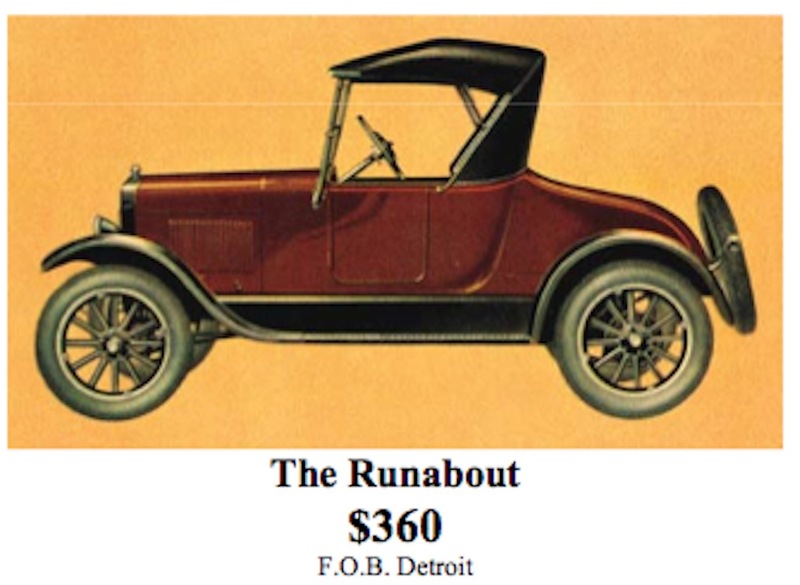 My 1914 one seater was advertised as a runabout but my 1926 one seater was advertised as a roadster. However I also have a 1911 Hupp one seater with a passenger side door advertised as a roadster and Hupp �one seaters� with no doors were advertised as runabouts. 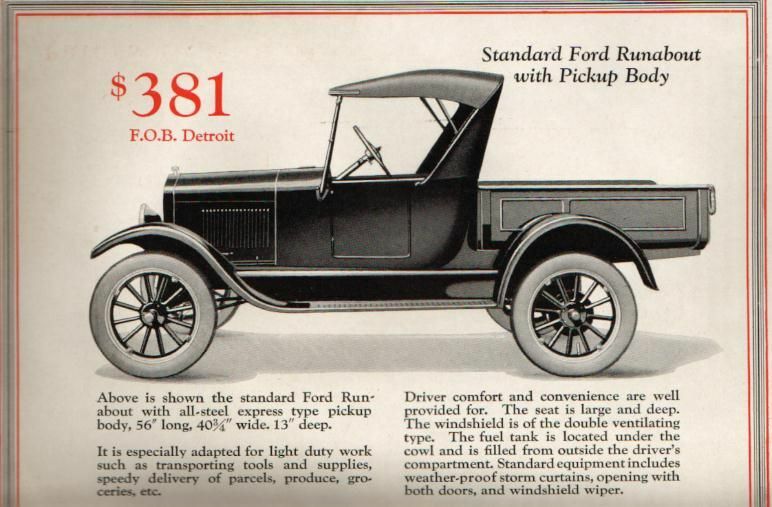 I did not find the term Roadster in any of the 1914 through 1927 Ford catalogues. Does that mean Ford never used the term in advertising? Maybe not. But if anybody can post Ford advertising that uses it, you will see exactly the same car. I'm with Mike. Two names for the same thing. Early bodies were named after horse carriages, a small 2 place buggy with 100" wheel base or less called a 'runabout'. A 'roadster' was a 2 place open buggy made for fast work on open roads. Think Ford liked the runabout name as the lightweight 2 passenger Ford of 100" wheel base. "Roadster" a small open type body with one fixed cross seat for 2 passengers and a space or compartment at the rear for carrying luggage." "Folding seats fitted into the luggage compartment are sometimes used" The type has 2 doors and a folding top with side curtains that are removable". "Phaeton" (*) an open type body with two fixed cross seats for 4 or 5 passengers. Folding seats in the tonneau for 2 added passengers. The type has 4 doors and a folding top with side curtains that are removable". "(*)Footnote--The reason for recommending the use of the term 'phaeton' instead of 'touring' is that the latter has lost its significance to any body type as all cars are used for touring. The term 'phaeton' is used extensively in Europe and to a considerable extent in America." 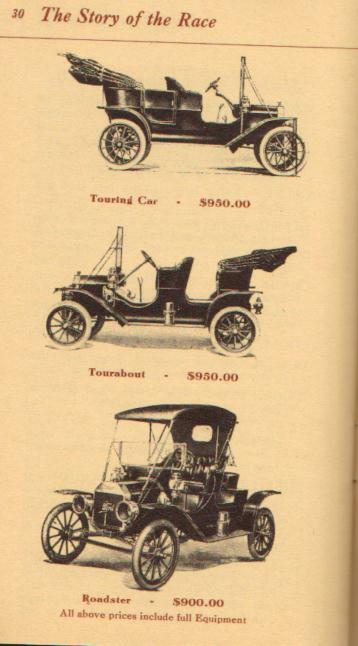 Ford did use 'roadster' in 1911 adv for the 'Open Commercial Roadster', but most all adv for the 2 place little open car is runabout. 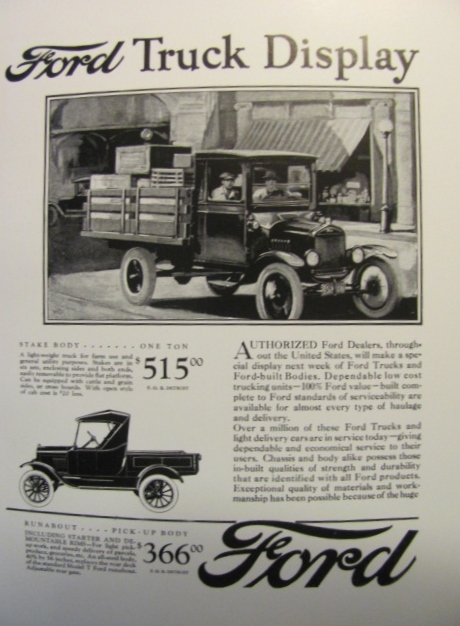 You can interchange the terms today, but to me, the Ford T 2 passenger open car is a 'runabout' and the Ford 2 passenger open car called a 'roadster', is the big sister, 1928 Model A! 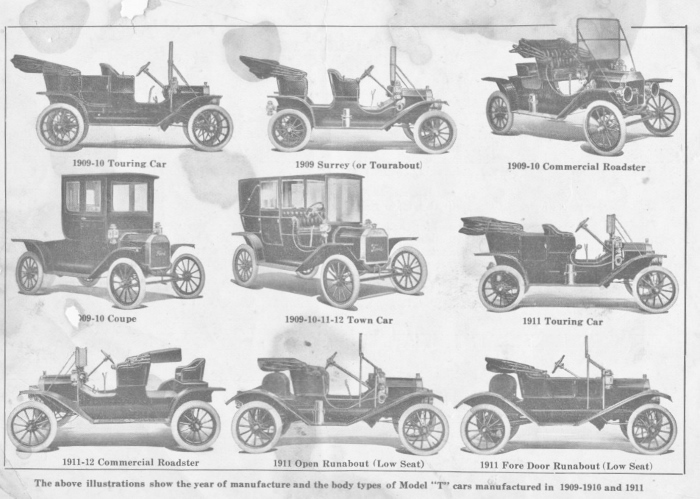 Note 1911 "Commercial Roaster" to label different than the Open runabouts. Just to add last note, the 'roadster' title when used in Ford adv. there is always a third seat, rumble or mother-in-law with the body type. So "roadster", in Ford marking name , would be a body style holding more than 2. A lot of the Model A 'roadsters' did have rumble seats. Is it a term like Dr's Coupe that's sort of but not really? Seems like most literature leans in the Runabout direction and over time it stayed that way. Or could we say pre 1912 cars were Roadsters and afterward they were referred to as Roadsters? I've found that when talking to non-T people you might as well call it a roadster from the start because nobody understands the term runabout. People don't really get touring car either so I just say convertible. My grandpa always said "coo-pay" instead of the one syllable "coupe"
In other words, today they are two names for the same thing. Roadster, or runabout? Breath mint, or candy mint? Less filling, or tastes great?